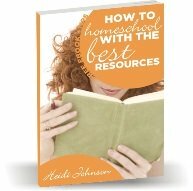 The Best Homeschool Resources All in One Place! I know its not a "curriculum", per se, but this book is the single reason I decided that I COULD homeschool my kids. This book is written by a mother-daughter team, Susan Bauer and Jessie Wise, and they tell you what to teach your kids, from elementary, through middle and high school, and ways to even go to college. This book maps out the "classical" technique of schooling, and she gives her own recommendations for curriculum to use per subject/grade. This book has a WEALTH of information, and is quite literally my "handbook". I check back with it often to see what she has to say about a certain subject/topic. My Comments: I agree. Well Trained Mind used to intimidate me but now I see it as a great guide. You could use this book for all your homeschool years for all subjects. You would just need to purchase some books they recommend or use the library. Thanks for this review. Join in and write your own page! It's easy to do. How? Simply click here to return to Homeschool Reviews.